"Investors are more circumspect about everything. Trade war-related issues can possibly pose nasty surprises if they are not reined in properly," said Deven Choksey, founder, KR Choksey Investment Managers. The market snapped its two-day winning streak, tracking losses across Asian peers ahead of imposition of US tariffs on Chinese exports. While the Sensex closed 70 points lower at 35,574, Nifty fell 20 points 10,749 level. Unabated foreign fund outflows and a weak rupee added to the gloom, brokers said. Market heavyweight Reliance Industries slumped 2.53 per cent to 965 level after the conglomerate's chairman Mukesh Ambani unveiled a mega fixed-line broadband initiative and announced plans for an e-commerce platform that may rival the likes of Amazon. Shares of cable TV service providers Den Networks and Hathway Cable closed 10.73 percent and 15.40% lower after Reliance Industries launched ultra high speed fixed line broadband services for homes and enterprises on Thursday. The stocks fell on the likely impact of this new fiber broadband service on existing cable TV service providers' customer base. Meanwhile, Infosys (4.47%), Vedanta (3.09%) and Tata Steel (2.71%) were the top Sensex losers. Infosys will announce its Q1 earnings next week. YES Bank (3.96%), ITC (2.97%) and Bajaj Auto (2.45%) were the top Sensex gainers. Rana Kapoor-led YES Bank said it has received approval from capital markets regulator Sebi to start mutual fund business. Consumer durables and IT stocks led the losses. While the BSE consumer durables index fell 2.78% to 19,630, the BSE information technology index lost 1.60% to close at 13,881 level. The Tata Motors stock closed 2.06% lower at 261.50 level after its subsidiary Jaguar land Rover said a so-called "hard Brexit" would cost it 1.2 billion pounds ($1.59 billion) a year, curtailing its future operations in the UK. Britain's biggest carmaker said UK plants and at least 40,000 jobs would be at risk if the country left the European Union without a free trade deal. Earlier, the stock fell over its five-year low to 252.55 level on the BSE. The Titan Company stock fell after the jeweller firm said it expects to post muted growth in the first quarter pulled down by decline in demand for gold. The stock closed 5.58% lower at 837.90 on BSE. Market breadth was negative with 1053 stocks closing higher compared with 1557 ending in the red on BSE. 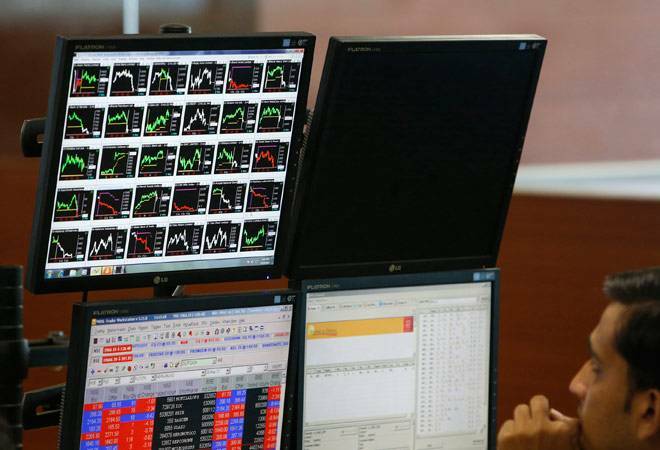 Meanwhile, on a net basis, foreign institutional investors (FIIs) sold shares worth Rs 284.58 crore, while DIIs bought shares to the tune of Rs 611.01 crore in yesterday's trade, provisional data showed. European shares rose Thursday following a German report that the US may propose reducing suggested auto tariffs to zero. But in Asia markets were overshadowed by concern over trade tensions between Washington and Beijing. Germany's DAX jumped 1.3 percent to 12,471.69 and France's CAC 40 added 0.9 percent to 5,368.34. Britain's FTSE 100 gained 0.3 percent to 7,591.75. Wall Street was poised to open higher after Wednesday's Independence Day holiday. The S&P 500 futures gained 0.6 percent to 2,724.60. The Dow Jones Industrial Average rose 0.6 percent to 24,245.00. Asian markets were subdued after China reiterated its determination to protect its interests in a rancorous trade dispute with Washington. Japan's Nikkei 225 index fell 0.8 percent to 21,546.99 and the Shanghai Composite index dropped 0.9 percent to 2,733.88. Hong Kong's Hang Seng index closed 0.2 percent lower at 28,182.09, after tumbling more than 1 percent earlier in the day. South Korea's Kospi lost 0.4 percent to 2,257.55. Australia's S&P ASX/200 bucked the regional trend, adding 0.5 percent to 6,215.50. Shares fell in Taiwan and Southeast Asian indexes were mostly lower.